This separate matching hatcher is the ideal complement to the Ova-Easy 190, 380 or 580 Advance cabinet incubators. Like its brothers, the OVA-Easy Hatcher is designed to offer the best possible performance at very reasonable price. Each aspect of the design has been reviewed with this objective in mind to ensure that no other hatcher available can give you so many healthy chicks for so little money. 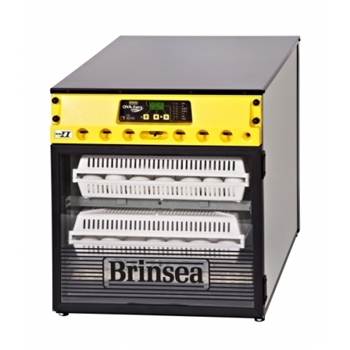 The Ova-easy Advance Series II Hatcher like all models in the Brinsea® Ova-Easy cabinet incubator range is fitted with Brinsea’s proven Advance fully digital control system which is both accurate and easy to use. Incubation temperature (in °C or °F) and humidity are continuously displayed along with temperature alarms. INCLUDED FREE set of 4 covered hatching trays. A $120 value included absolutely free.